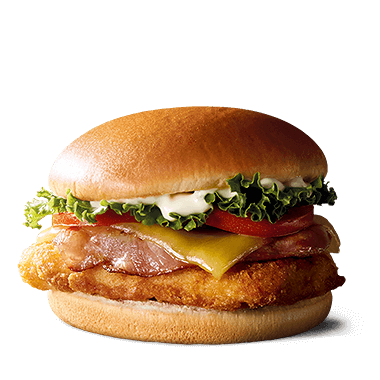 Our favourite McFeast® with a twist - the all new Chicken McFeast®. 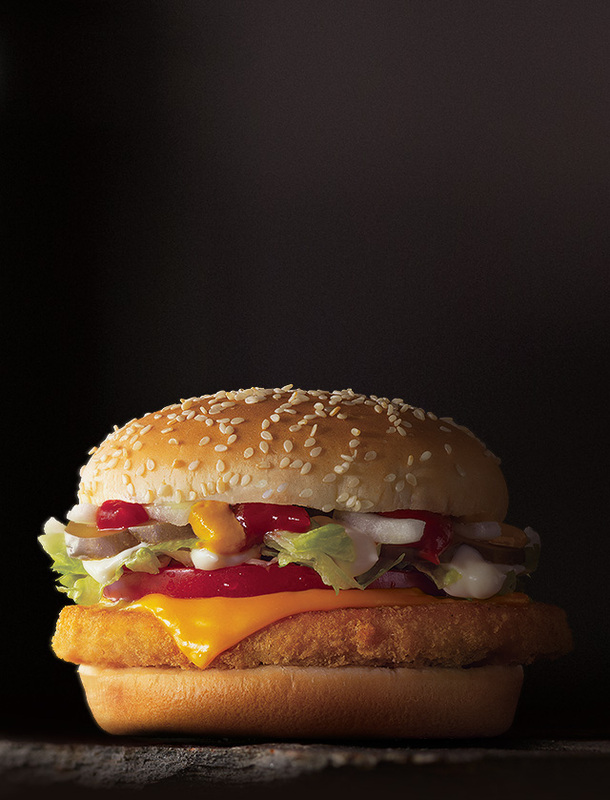 A delicious chicken patty, cheese, tomato, lettuce, pickles, three sauces all on a classic sesame seed bun. Available for a limited time. Serving suggestion. 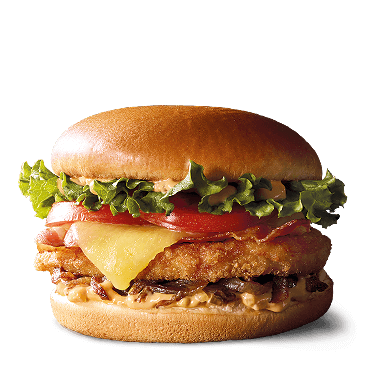 McCHICKEN PATTY: Chicken, Water, Flour (Wheat, Maize), Vegetable Oil (Canola), Thickeners (1401, 1400), Mineral Salts (508, 500, 450, 451), Starch (Maize, Wheat), Salt, Spice and Spice Extracts (including Pepper), Maltodextrin, Vegetable Powders (Garlic, Onion, Celery), Dextrose, Raising Agent (341), Emulsifiers (481,433), Herb, Yeast Extract, Natural Colours (100, 160c), Natural Flavouring, Food Acid (330). QUARTER BUN: Wheat Flour (Contains Vitamins (Thiamin, Folic Acid), Water, Sugar, Canola Oil, Sesame Seeds, Iodised Salt, Wheat Gluten, Yeast, Improver (Soy Flour, Emulsifier (481), Mineral Salt (170), Antioxidant (300), Acidity Regulator (516), Wheat Malt Flour, Enzymes (1100) (Wheat), Preservative (282), Emulsifier (471, 481, 472e), Antioxidants (307, 304, 330). KETCHUP: Water, Tomato Paste, High Fructose Corn Syrup, Glucose Corn Syrup, Vinegar, Salt, Flavouring (Soybean Oil). MCCHICKEN SAUCE: Water, Soybean Oil [Antioxidant (330)], Egg Yolks, Modified Corn Starch (1401, 1442), Corn Syrup Solids, Distilled Vinegar, Salt, Sugar, Mustard Flour, Thickener (415), Food Acid (270), Preservative (202). Contains gluten, egg, milk, sesame seeds & soy. McCHICKEN PATTY is cooked in McDonald’s Vegetable Oil blend.